Butterfly Loft Salon and Spa opened on November 1, 2010, on Ventura Boulevard in Encino. Owners David Thurston and Alexis Thurston have taken a second-floor commercial space that was vacant for seven years and transformed it into an upscale salon resembling an urban loft, with high, exposed ceilings, polished concrete floors, and dramatic floor-to-ceiling windows that extend across the length of the salon, offering views of the Encino hills above and the hustle-bustle of Ventura Boulevard below. Since the owners built the space from the ground up, they were able to create a custom exhaust system, designed to eliminate the fumes and chemicals caused by today’s specialized hair straightening treatments. Stylists activate the exhaust system over their individual stations by simply turning a timer switch. The custom exhaust system along with a myriad of other eco-friendly design details have earned the salon green certification. In 2013, Butterfly Loft was also selected as the World Model Salon by Wella / Procter and Gamble (the largest hair product company) for it’s eco-friendly procedures, implementation, and design. Known as a hub of education in Los Angeles, Butterfly Loft has presented and hosted over thirty major in-salon education events, attracting some of the top educators in the world (Robert Cromeans, Sonya Dove, Michael Shaun Corby, Lisa Vann, Mary Cuomo, to name a few), and hosting stylists from all over the country. Butterfly Loft has provided backstage hair services for the world’s top models and designers, including Calvin Klein, Tommy Hilfiger, Giorgio Armani, Carl Lagerfeld, and more. The salon has been featured often in the leading salon publications, including Allure Magazine, Launchpad, Modern Salon, American Salon, and California Stylist magazine. Butterfly Loft was voted as “Best Salon in the Valley” in Ventura Blvd Magazine. 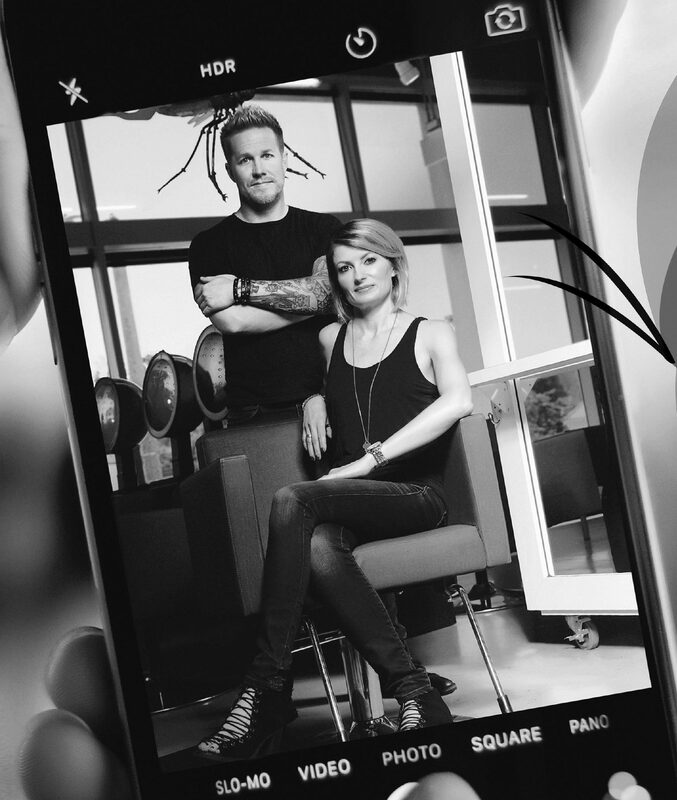 David and Alexis Thurston are also the creators of Pulp Riot, a salon-exclusive hair color line that is sold throughout the world. They’re key-note speakers and educators at beauty industry events across North America. They also privately consult salon owners and stylists from time to time. Butterfly Loft Salon and Spa provides hair, makeup, nail, and skin care services. It’s located at 17401 Ventura Boulevard, Suite B19, Encino, CA, 91316, in one of the few shopping complexes in the area that provides ample free parking for both employees and clients.